A delegation from the Combined Maritime Forces (CMF) presented at the United Nations Office of Drugs and Crime (UNODC) 5th Pakistan-Afghanistan Integrated Border Management Workshop held in Abu Dhabi, United Arab Emirates, from 16th to 20th March 2015. 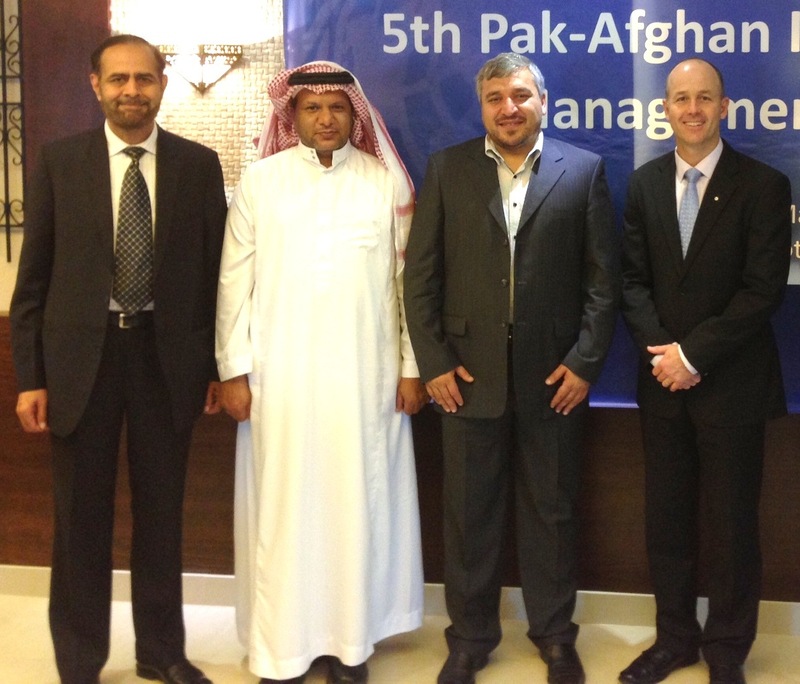 CMF presented at the recent UNODC 5th Pakistan-Afghanistan Integrated Border Management Workshop in Abu Dhabi, UAE. The event aimed to promote inter-agency cooperation amongst Pakistani Law Enforcement Agencies, as well as improve regional cooperation between Pakistan and Afghanistan in the border areas, with a significant focus on the Management of Narcotics Trafficking. ‘CMF’s role in maritime security and the global/regional maritime challenges in the drug trafficking, Human Trafficking Migrant Smuggling and related organized crime’. Organized by the UNODC Country Office Pakistan in collaboration with the Government of Pakistan, the workshop was an initiative under UNODC’s illicit trafficking and border management program to improve operating capacities of various Pakistani Law Enforcement Agencies in areas of border management, information gathering and analysis, drugs law enforcement and investigation, and prosecution of drugs and precursors related cases.